Internet friends, I think its time I told you the truth. I have an accounting degree. I’m not even fashionably ashamed of it. This accountable foundation means I am genuinely interested in commerce. And when creativity collides with commerce, I am pretty darn happy. Subset has created a visual representation of the profit levels of Fortune 500 companies called Profitable Colors. You can sort by worth, trend or industry each with a different visual. 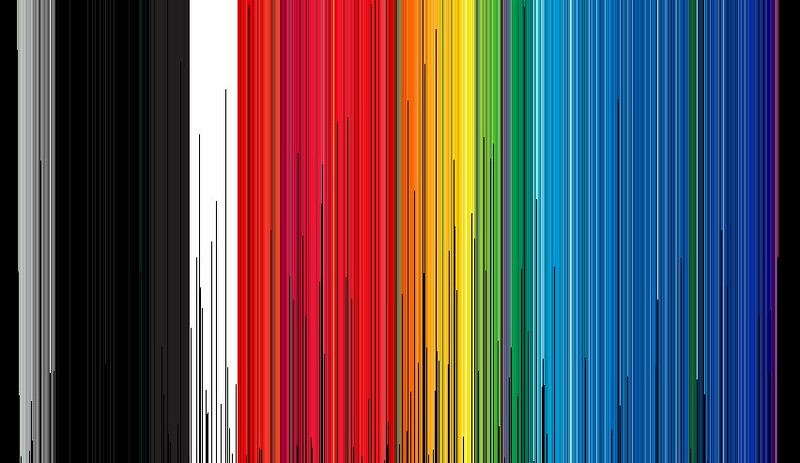 Worth gives you a vertical rainbow (above) which is sorted by hue and scaled by market capitalisation- yes those words were just in the same sentence. Hovering over the colours causes them to leap up to your mouse revealing more data, creating a whole new tactile experience. The colours were a stunning idea, they are taken from the logos of the companies themselves reducing them to their component parts. The colours are then made to compete, tracked by their stock performance. Dark green and the greys are the way to go for profit. Maybe I should be rethinking the runawaykiwi light blue which performed the worst out of all the colours. 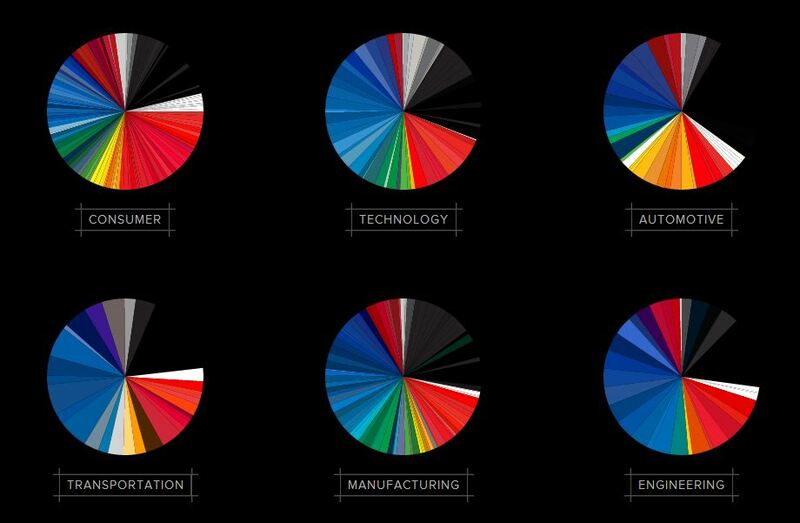 Last up is the colours by industry, represented by the beautiful pie charts below.